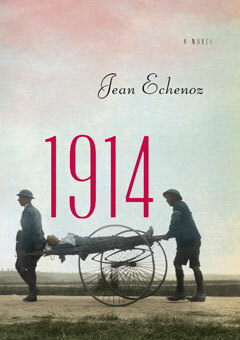 Jean Echenoz, considered by many to be the most distinguished and versatile living French novelist, turns his attention to the deathtrap of World War I in 1914. In it, five Frenchmen go off to war, two of them leaving behind a young woman who longs for their return. But the main character in this brilliant novel is the Great War itself. Echenoz, whose work has been compared to that of writers as diverse as Joseph Conrad and Laurence Sterne, leads us gently from a balmy summer day deep into the relentless—and, one hundred years later, still unthinkable—carnage of trench warfare.